Callicoon Supply has all your building, plumbing and electrical needs, serving the community since 1984 and priding itself with excellent customer service. Carrying all contractor needs for custom home building and additions....masonry, lumber, roofing, insulation, plumbing, electrical, siding, windows, doors and decking. Callicoon Supply delivers within a 20-25 mile radius. Top quality brand tools such as Makita, DeWalt, Stanley Bostitch and Black and Decker are stocked. Our Boom Truck Service increases our customers speed and effienciency with their building projects. We can supply you with everything you need for your do-it-yourself projects. For your painting needs select from Glidden paints, Rustoleum, Minwax, Cabot and Thompson's Water Seal. For over 45 years, AIFS has provided tens of thousands of international youth with an affordable way to experience American culture. Camp America staff are international visitors who travel to the United States on the J-1 Visitor Exchange visa. During their stay, they take seasonal jobs in U.S. summer camps. Our participants learn about American culture, improve their English language skills and make lasting friendships with people from around the world. Camp Trucking is the premier camp duffel delivery service for camps along the East Coast. They exclusively provide transport of camper's camp baggage from Home, to Camp, and Back! Camp Trucking is now able to provide door-to-door baggage service to campers anywhere in the United States and Montreal, QC. 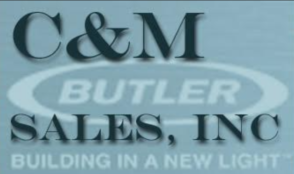 C & M Sales, Inc. is your local general building contractor affiliated with Butler Manufacturing and Butler pre-engineered steel buildings. Having been in business since 1972, erecting and finishing steel buildings, we have become known for our flexibility and willingness to get the project completed, regardless of the size. We work with prospective and repeat clients on a design build approach to give you what you are looking for at an affordable cost. We service all of Wayne County, as well as parts of Pike County and Susquehanna County in PA and the river corridor in the state of New York. Contact us at 570-253-1612, cmsales@ptd.net, or 142 Upper Crossroad, Honesdale, PA 18431. Delaware Valley Agway has been a staple in our community providing the highest quality services since 1989. With deep ties to the local area, Agway has been the go to supplier from everything including lawn and garden supplies, sheds, fencing, feed, pavers, and clothing. Delaware Valley Agway is also the number one supplier of telephone poles used in high ropes courses in Wayne & Sullivan Counties. 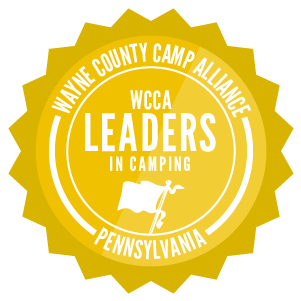 Their expertise coupled with their attention to detail and courteous staff make Delaware Valley Agway a leader that the Wayne County Camping Alliance is proud to partner with. Fromm Electric has been a leader in the electrical supply industry since it was founded in 1958. With a personal background in camping, the Fromm family has been a valued partner of the camps in Wayne County for generations. From electrical/lighting supplies, to safety products, to energy-savings solutions - Fromm has a deep-rooted interest in being an important, respected resource to the WCCA. With some of the most beautiful facilities in camping, the Wayne County camps truly value Fromm Electric for their expert knowledge, outstanding technical support and premium customer service. JHA Companies has a passion for camping and the outdoors, and we are excited to provide our surveying and engineering services to the Wayne County Camps Alliance. JHA was established with the underlying mission of providing timely, accurate, and realistic solutions that capture each client’s vision, while accomplishing their regulatory obligations. Our staff includes a licensed treatment plant operator, several licensed professional engineers and surveyors, sewage enforcement officers, construction managers, and architectural designers. Contact us today to find out how we can turn the vision for your camping facilities into a reality. Sobel Insurance for 4 generations has been dedicated to servicing the insurance needs of the WCCA. In doing so, they have established themselves as leaders in the industry with a top camp crisis response team, the broadest protection and extremely completive premiums. Wayne County Directors feel assured with Sobel in our corner. AMSkier is a family business with its home office in Hawley, Pennsylvania, a small charming town located in the beautiful mountains of Northeastern PA.
CampMinder is a web-based camp management and communication system designed by former campers, staff, and you - the camp professional. Camp Trunk Delivery has been transporting luggage to sleep-away camps for over 25 years. Founded by a former camp nurse in 2003, CampMeds specializes in the unique service of pre-packaging medications for campers throughout the U.S. 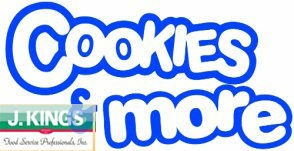 The Tri-State Area's Largest Speciality Snack and Beverage Distributor for Over 50 Years! 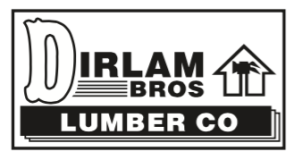 Dirlam Bros Lumber offers a full line of building supplies & hardware, including windows, paints, cabinetry, grill products, hand tools & more. Dirlam Bros are proud to service WCCA Camps! 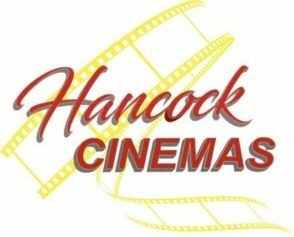 When you enroll with H&H Purchasing you become a member of a group of small businesses with aggregate purchasing power and national distribution. Ivy Oaks Analytics is an innovative startup aiming to make outdoor recreation safer through modernized techniques. Ivy Oaks Analyitcs is a proud partner of Global Lyme Alliance. 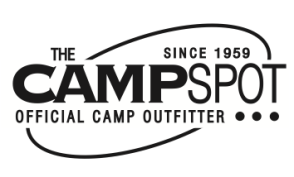 Founded in 1959, The Camp Spot is a full service camp outfitter located in Livingston, NJ. Our philosophy is simple: Make it as easy as possible for parents to shop for camp.